Nerses Aposhian, aka “Posh” grew up in Los Angeles and attended the University of Southern California (USC) for his undergraduate studies, earning a B.A. in Communication and Political Science. Shortly after, he attended Loyola Law School for his graduate studies. Prior to his current role as the Director of Content & Hospitality for JohnHart Real Estate, he worked with clients consulting them on their startup and hospitality concepts. In his role at JohnHart, Posh will be exploring new and exciting content ideas and organizing opportunities for the team to develop their personal and professional relationships, and help market and sell listings through an elevated event experience. 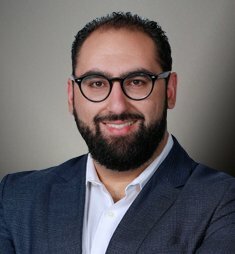 When he’s not busy working, he is the President of the Armenian Professional Society and co-hosts a podcast called The Founder Hour, which features the founders of LA-based companies.